When Toyota launched Lexus in 1989, its first sedans impersonated Mercedes-Benz models, but cost a lot less. 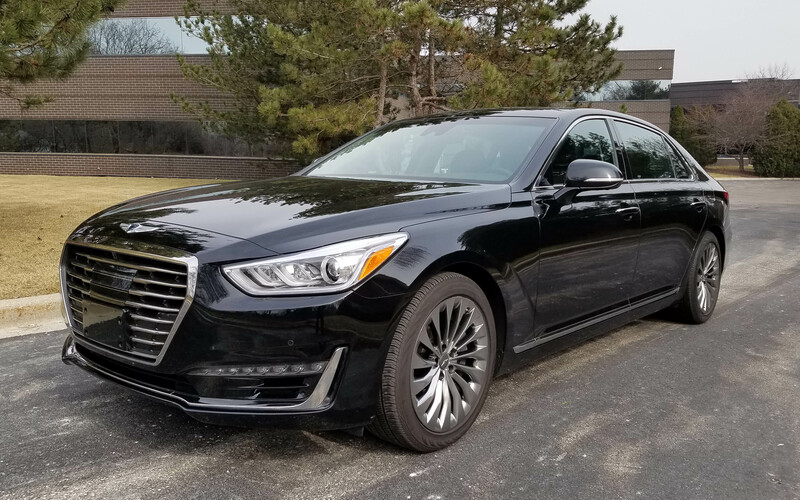 Now Hyundai has launched its impressive new Genesis luxury car lineup with two models and the top-level G90 looks like a Bentley. Even its logo resembles that of the British make. Again the formula is to create a car that visually screams luxury while undercutting the original by thousands of dollars. To be sure the new G90 competes mostly with the large Audi, Mercedes, BMW, Lexus and Cadillac sedans. But if you could convince your neighbors you were driving a Bentley, yet only spent $70 grand or so, well, you just might try. That’s what Hyundai is betting on, just as Lexus did before it. Certainly the G90 is impressive and dressed in Caspian Black, a metallic black paint job, the tested rear-drive Ultimate model turned heads. People asked what it was. Genesis didn’t ring any bells. Going to the Chicago Auto Show is one of our favorite trips of the year because we always have a great time. This year was no different. We captured some of it in the two videos below. If you’ve been thinking about going, and we recommend it, get a long little doggie, because it runs through February 20th. 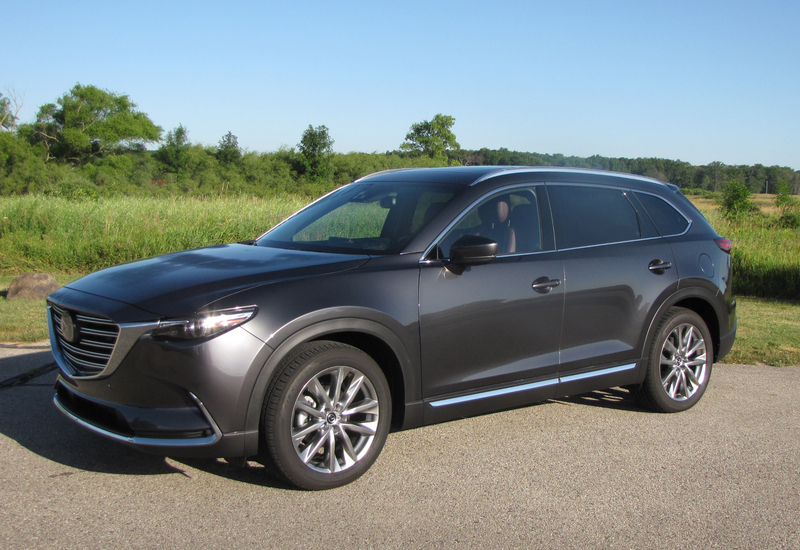 The luxury crossovers, the Mercedes, Lexus, BMWs may have a hard time convincing some of their buyers that Mazda’s new CX-9 isn’t a better value. At $45,215 the Signature AWD model I tested is within an eyelash of offering the same goodies those luxury brands tout, while also offering more style. Oh, and that price, while not cheap, is far less than you’d pay for most luxury makes. 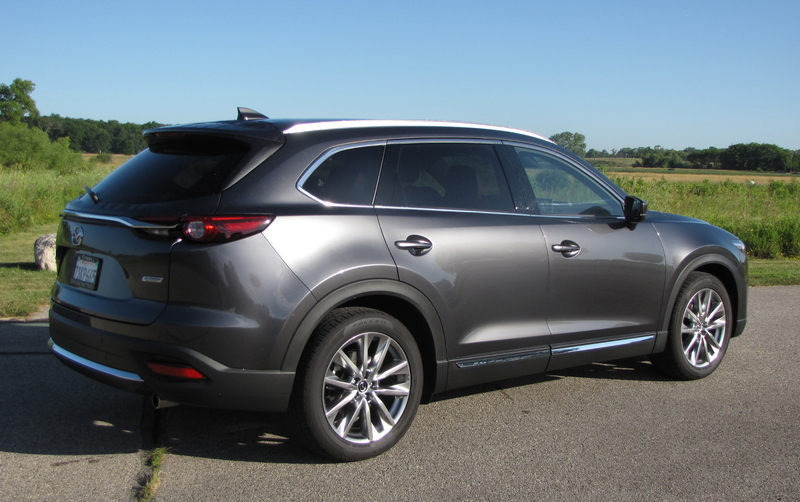 Meanwhile, the restyled Mazda CX-9 exceeds the overall driving experience of such mainline competitors as the Honda Pilot and Ford Explorer. Here’s the deal, the Mazda uses its Skyactiv technology to create an efficient crossover, while also using enough sound deadening to make this the quietest large crossover I’ve driven. Add to that a big luxury style grille, pronounced nose and tapered roofline and even in profile the CX-9 looks like it’s moving. The look is distinctive, not cookie-cutter. 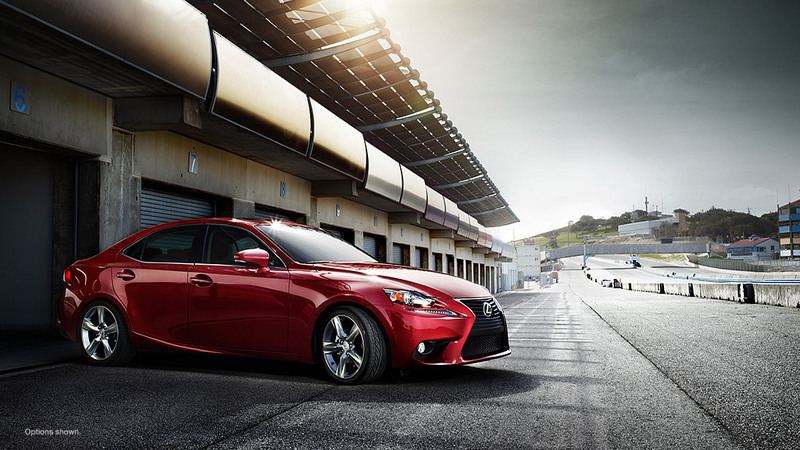 The inside is as nice as any luxury vehicle, both in looks, feel and finish. 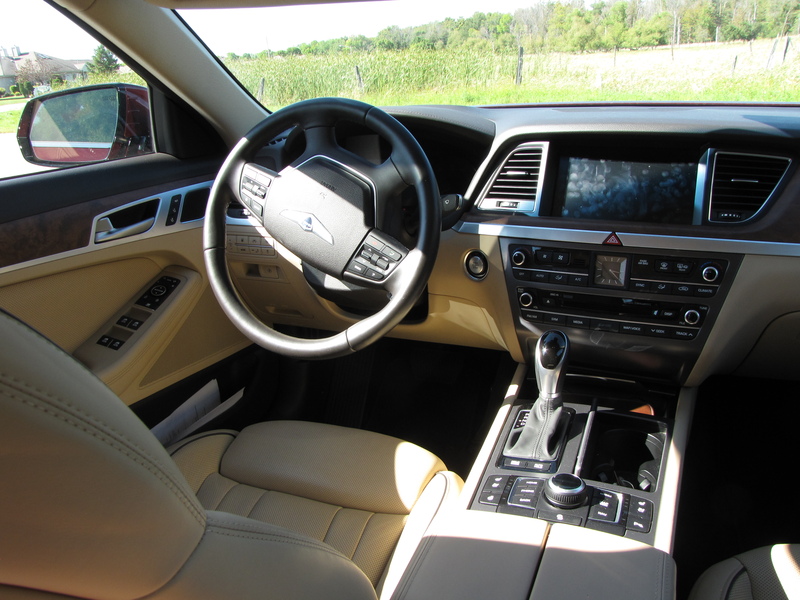 In fact, this Signature model, the top-level CX-9 features real rosewood trim around the console and on door control pads along with brushed aluminum (not plastic) trim. Classy! Established luxury makes may want to check that rearview mirror as Kia and its cousin Hyundai are gaining on them, rapidly. 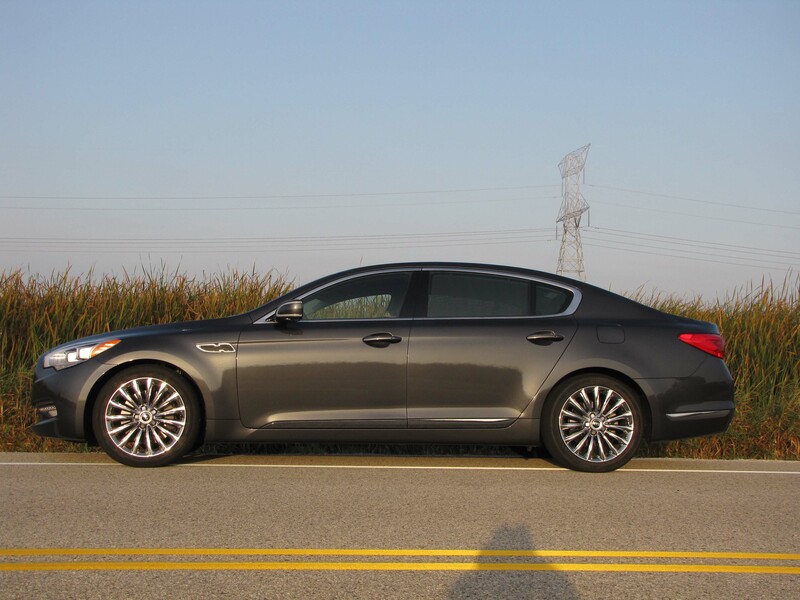 Case in point, the new Kia K900, the separated-at-birth twin to Hyundai’s luxurious Equus. 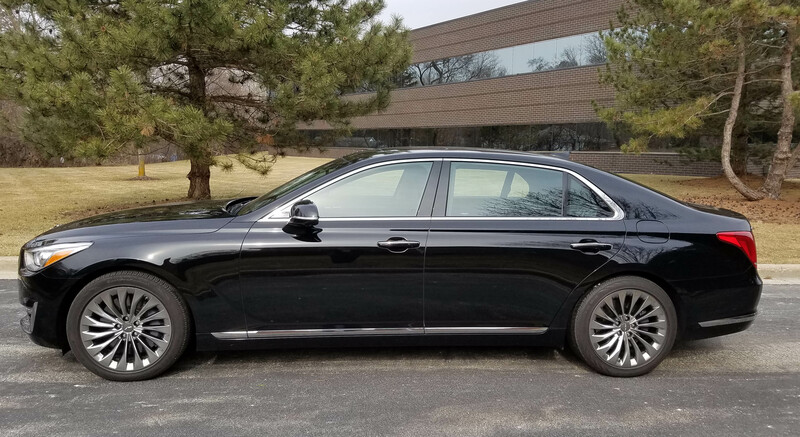 Both the K900 and Equus are ladled with luxury features, look as luxurious as any full-size luxury sedans on the road, and are as quiet as Miller Park in October – quieter! Sound deadening and a smooth-running 5.0-liter V8 create an interior that could pass for a sensory deprivation tank, if you close your eyes. You won’t want too though because the interior looks great too and cradles you in its soft leather trimmings. Did I mention that you’ll pay on the order of $10 grand less than a “traditional” luxury make? 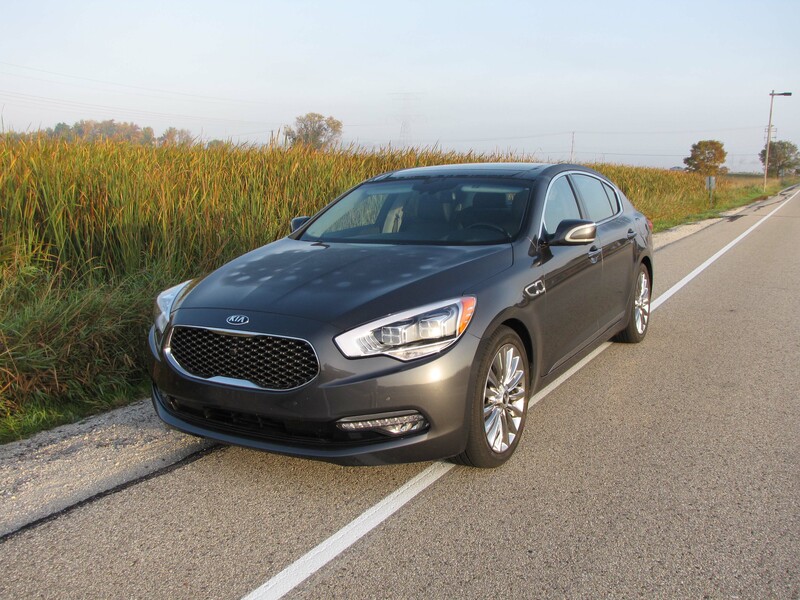 Consider the K900 starts at $59,500 and even at that price you get much of the luxury trimmings that came on the metallic gray test car, which added a $6,000 VIP package to push this to $66,400, including a $900 delivery fee. 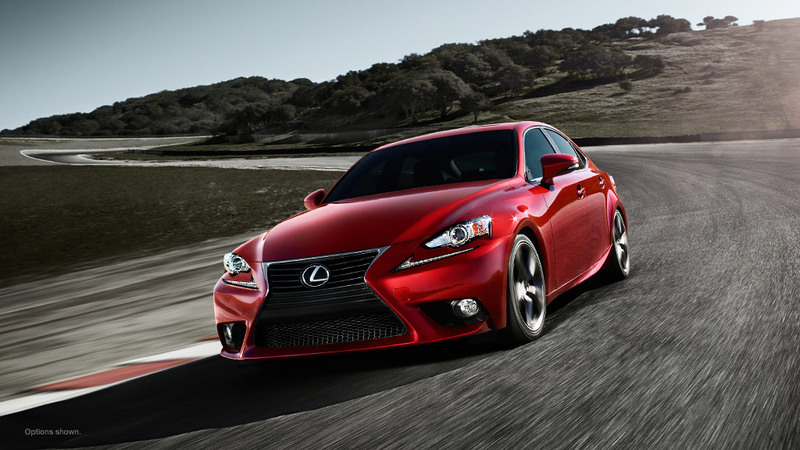 A Lexus, Audi, Mercedes-Benz or other full-size European luxury sedan will run you considerably more. But then their logos have been around longer. I’m lucky, and I know it. I get to drive cars of all shapes and sizes and witness firsthand when a car company like Hyundai grows from an afterthought to a hard-charging mainstream competitor. 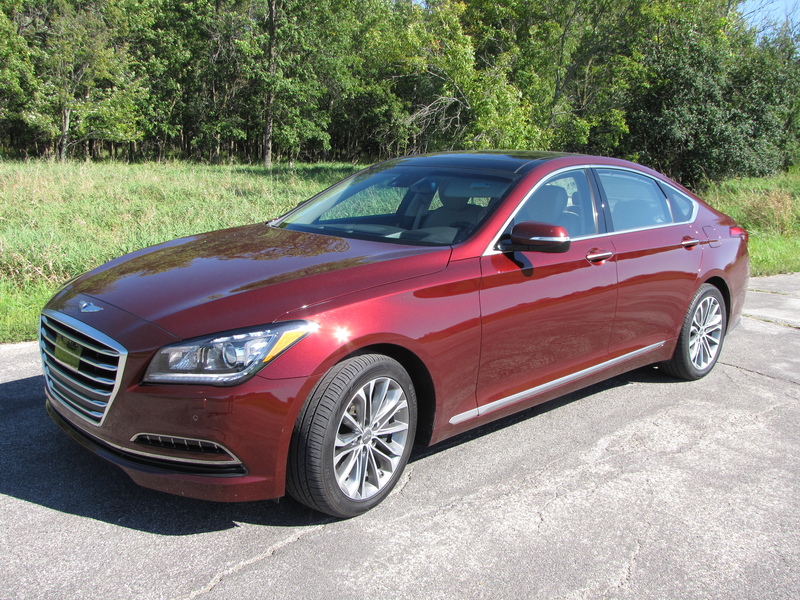 I present for your inspection today, its luxurious Genesis sedan. This is a 2015 model and comes with revamped looks a longer wheelbase than its predecessor and better overall feel. People ask me why they should buy a $52,450 Hyundai, which this was, and I can honestly say, because it’s a fine car and a bargain to boot. Hyundai’s marketing strategy has seemed simple, once it got its quality house in order about 10 years ago. Hyundai creates a more stylish car in each segment than the current main competitors, gives it good power and a well-crafted interior and then adds more electronic features (some standard) than the competitors at a lower price. Bingo on all fronts with the Genesis. This is a full-size luxury car riding on a 118.5-inch wheelbase, up from 115 in earlier iterations, and 196.5-inches long. Styling is a little less conservative than a BMW or Lexus, with a bit of chrome bright work at the bottom of the rocker panel and around the windows. This one was a beautiful deep metallic red that glistened in our early fall sunshine.